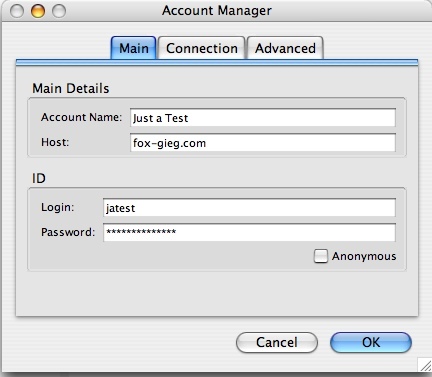 Nick Fox-Gieg’s Tutorials » You Don’t Know How to FTP? * The address of your server–usually, although not always, the same as the ordinary web address. * Your username and password to log in. Step 1. 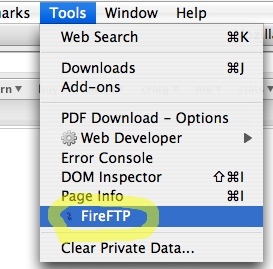 Start the Firefox browser and launch FireFTP from the Tools menu. Step 2. Click Create an account. Step 3. Give your new account a name and enter the information mentioned above. Step 5. Each time you connect, you’ll be asked for your password. Step 6. You should now be able to see the directories available on your server. Choose where you would like to send your file. Step 8. 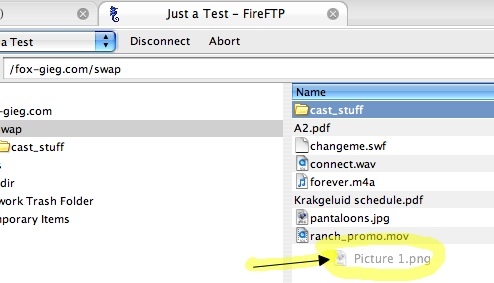 Drag and drop your file to send it. Step 9. 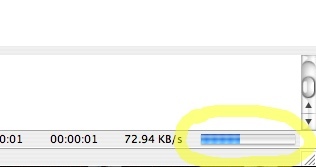 Watch the progress bar in the lower left-hand corner as your file uploads. Step 10. 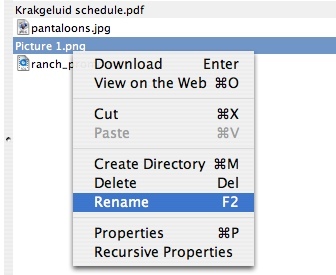 Once your file is uploaded, you can rename or delete it by right-clicking on it. Step 11. 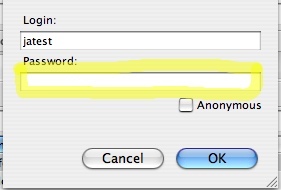 While FTP programs generally have no restrictions on what you can name your file, remember that, to make it properly accessible on the web, you should use no spaces or uppercase letters. Step 12. If you uploaded your file into a web directory, type the address into your browser and see if the link works! Now, this is a somewhat involved process for a beginner. 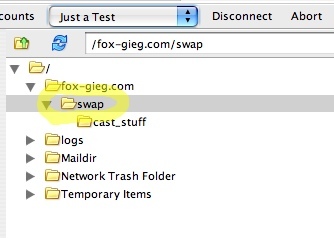 There are lots of other ways for people to exchange files, so why should you bother with FTP? 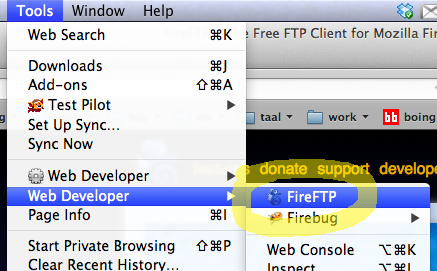 Because FTP has no built-in file size limit. (Email attachments, by contrast, are generally capped at 10MB or less.) For getting a few hundred megs into the hands of somebody on the other side of the world, right away, this can be extremely useful. you are my tech guru. [WORDPRESS HASHCASH] The poster sent us ‘537305419 which is not a hashcash value.